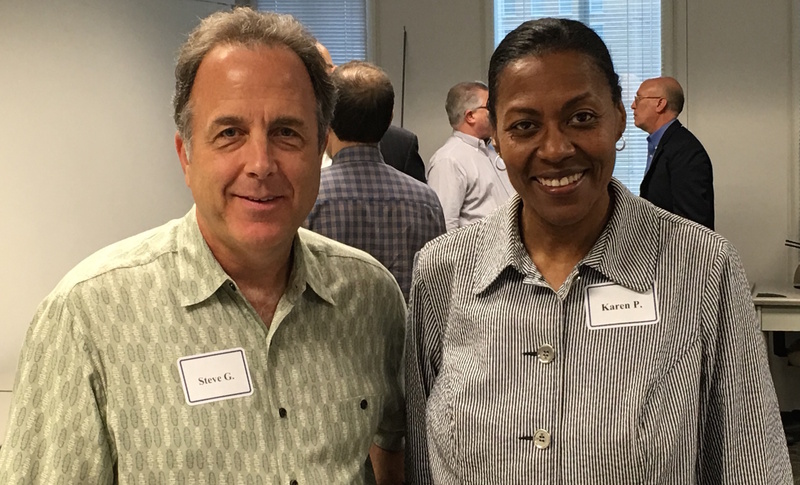 We recently had the distinct pleasure of spending time with the Chicago OD Practitioners Network PDN (Professional Development Network) in downtown Chicago. Per usual, it was early a.m learning dynamite! 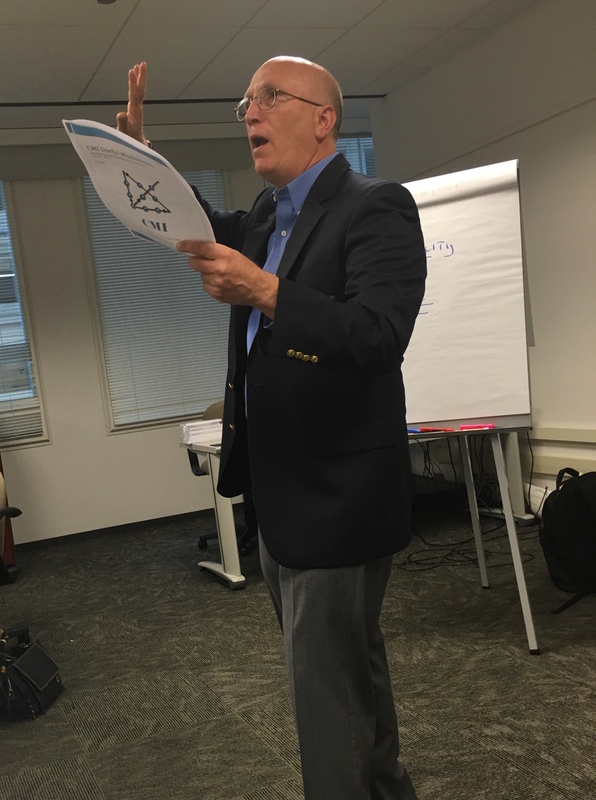 Noted business consultant, Bruce Hodes delivered a terrific presentation on Patrick Lencioni’s The Five Behaviors of a Cohesive Team. Bruce’s delivery was a highly interactive engagement that was informative, innovative, and fun. In addition, participants received multiple, Adventure Games to help support the development of any team. The dynamic performance management insights that Mr. Hodes shares in his book, Front Line Heroes: Battling the Business Tsunami with Performance Oriented Cultures, were on full display. It’s no wonder his clients rave about his work. Are you are looking to strengthen your coaching and consultation skills? Are you interested in networking with other high impact business professionals? The Chicago OD Professional Development Network is a great place to start! Their next event is October 28th at Northern Trust Bank, 181 West Madison, 7th floor, Chicago, IL. 7:30 am until 9:00 am. (optional networking / discussion 9:00 until 10:00 am). Congratulations to Steve Garrett and Karen Pinkney, PDN Co-Chairs, on such a successful event! To register or for more information you can contact Steve or Karen at codpnetwork@gmail.com. Please note: The event is offered free of charge but you must register at least 48 hours prior to and be sure to bring a valid picture i.d. to gain building access. Would you like to learn more about the Chicago OD Practitioners Network? Click the button below! We welcome Gloria DeVita as an author for our Blog. 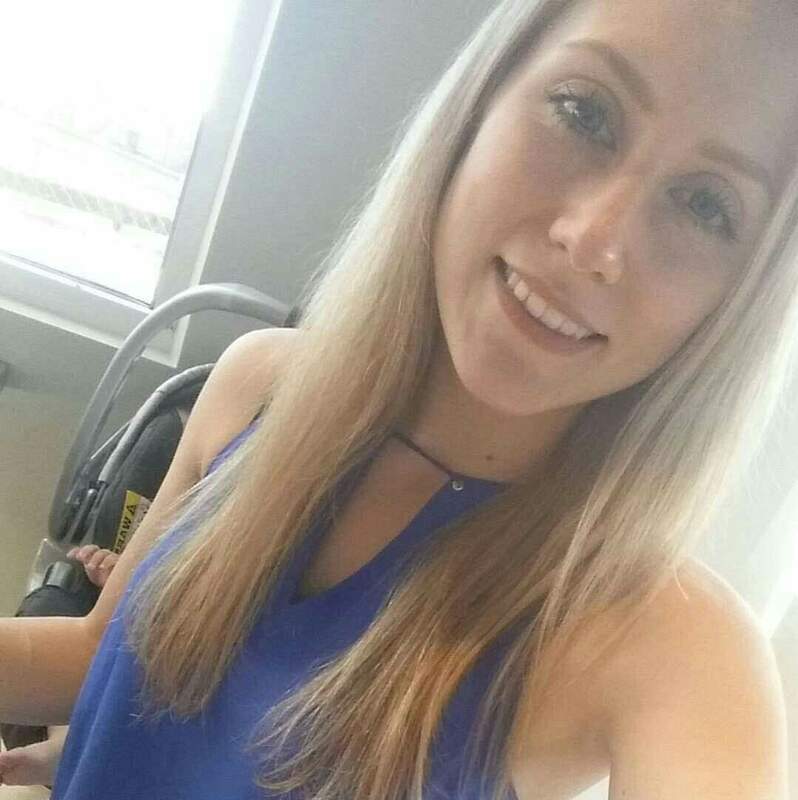 She is a Virtual Associate for a consulting company, serves in the National Guard, and is the mother of two amazing and beautiful little girls! Ms. DeVita gives us some insight and inspiration on the value and importance of raising brave girls! Her story will feel familiar to many women and will inspire you. Reshma (2016) covers a very interesting topic. She points out how it has become a societal norm for girls to be taught to avoid risk and failure, while boys are encouraged to play rough and are rewarded for taking risks. With the over-used excuse of “boys will be boys,” while girls are expected to “know better,” I think that in our society it is a common, learned behavior for young girls to strive for perfection. So as a Mother of two beautiful girls, I will make sure that my daughters never feel like they need to be perfect in order to accomplish their dreams. I want my girls to be brave – in fun and in business. So for now, I will always encourage my 5-year old to race with the boys at the bus stop and to enjoy standing in the front of class and sharing her picture, even if she did color outside of the lines. And for my 1-year old, since it’s never too early to instill personal values, if she falls, she is allowed to take the fall and get back up on her own without assistance; her Dad insists on it. He is constantly reminding me that she is just fine. What can I say, she’s still my baby – and I guess you can never be too old to learn about bravery either. Because life is a learning experience, and how will you ever learn if you never make mistakes? There has been a lot of commentary about “Work-Life-Balance” over the years. The phrase paints a picture of a balancing scale with “work” on one side and “life” on the other. My challenge with this visual is that it implies, life starts after work ends. This intrinsically fails to resonate with me. For myself and many others, work is a integral part of life. I personally look forward to each new client project! Taking Weiss’ lead, my goal for 2016 was to accumulate as much discretionary time as possible. As the point of the above picture, we were in Virginia Beach. Over the next several weeks, we would travel from Virginia Beach, to St. Louis, Chicago, then back to St. Louis. I assumed, more discretionary time would clearly mean less productivity, which was a concern as I embarked on this resolution. It is not the end of the year yet, but early results are unexpected. To-date, we have spent more time walking on the beach at day-break, taking in mid-week movies at noon, and lingering over cocktails after dinner to catch up. This year has been extremely productive. After enjoying some discretionary time, when I reengage work I am more focused, productive, and efficient. I feel less fatigued, and am more creative and innovative. I will admit, I do think about work during my downtime, but without the pressure of having to do it. Instead of behaving like a bulldozer and plowing through the work, ideas are free to come and go. When I appreciate a particular idea, I write it down so that I can revisit it later. Towards the end of my life, it is unlikely I will wish I spent more time working. My most fond memories will surely be of time spent with my family, husband, children, and grandkids. That said, it would be foolish to undermine the joy and sense of purpose I get from my work. 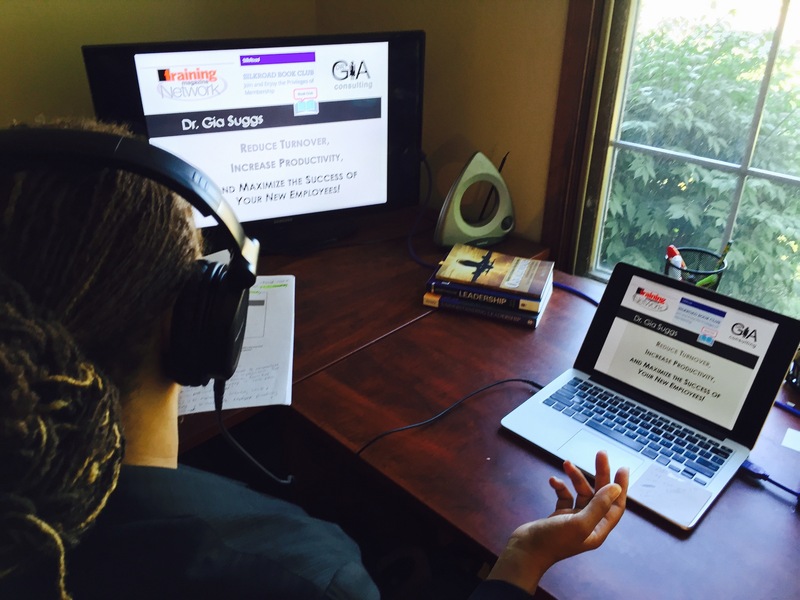 Dr. Gia Suggs is an Organization Development Consultant. She manages her private practice, Dr. Gia Consulting. She is also a Distinguished Adjunct Professor at Olivet Nazarene University. 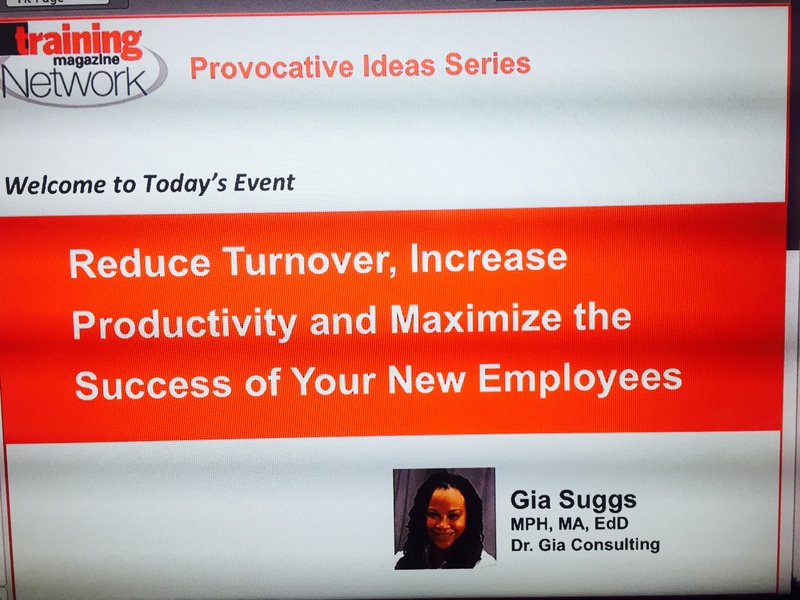 Dr. Gia is the author of Onboarding; Maximizing the Success of New Employees.